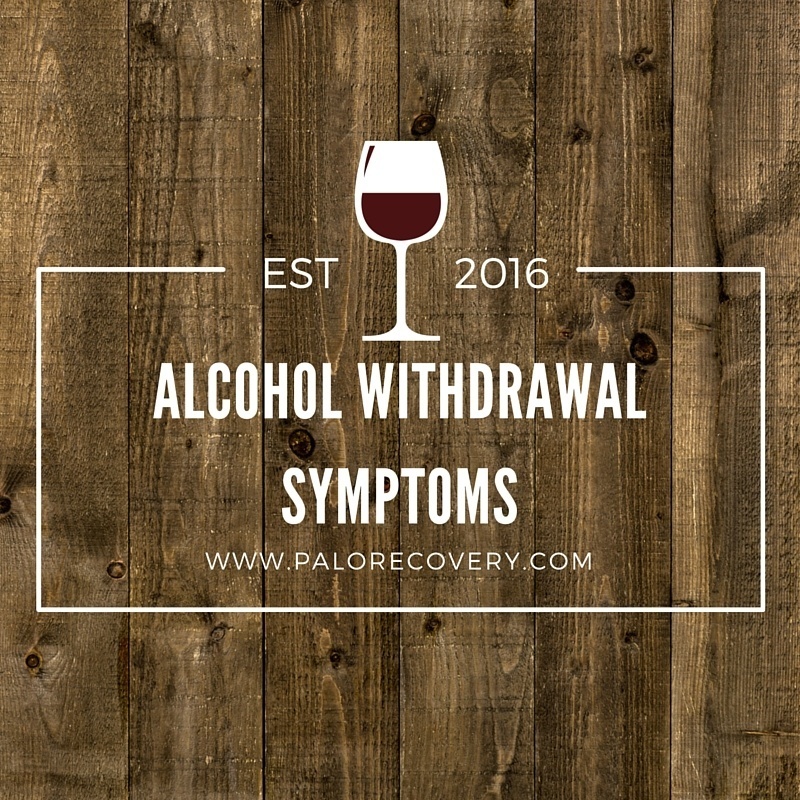 Alcohol Withdrawal Symptoms - How Long Do They last? Taking the big step to stop drinking alcohol is a great and courageous decision. Alcohol withdrawal may be difficult and uncomfortable, but it will never be as bad for you as drinking it. Alcohol is the 3rd highest cause of death in America, resulting in 88,000 deaths a year. One in every 12 adults, or 17.6 million people suffer from alcohol abuse or dependence. Several million more people engage in binge drinking practices that commonly lead to alcohol problems. Long-term alcohol use damages families, friends, careers, financial and emotional stability, and leads to serious health and legal troubles. Learning to live without alcohol is a great decision. When you learn what to expect from the process of alcohol withdrawal you will be better prepared to take the first steps. In this article I will explain how alcohol hijacks the brains of drinkers, and what to expect when going through withdrawal. Part 1: Alcohol’s Dangerous Long-Term Effects. A brief look at the long-term effects of alcohol on the brain’s chemistry is necessary to help understand why withdrawal from alcohol can be lethal. If you or a loved one is ready to break free from alcohol’s deadly grip, it is very important to seek medical care because alcohol withdrawal can quickly lead to a medical emergency. As is the case in every addiction, the euphoric feelings accompanying a drink of alcohol is the result of a jolt of dopamine in the brain cells. The pleasant feeling generates pleasant memories, clearly associating the good time with the alcohol. Dopamine is a chemical tied to our brain’s reward system, naturally stimulated by positive activities and memories. When dopamine-generated memories lead to repeating the rewarding stimulation from drugs or alcohol, the brain’s reward system becomes hijacked. Soon, drinking alcohol becomes a need, and then it becomes an obsession. Tolerance to alcohol’s effect on the brain builds as quickly as the drinker’s dependence on it, leading to consuming greater and greater amounts of alcohol to satisfy the reward system–which is now effectively a demand system. Two other important chemical processes in the brain are equally impacted by alcohol. First, chronic use of alcohol builds insensitivity to GABA, a neurotransmitter responsible for inhibiting (slowing down) behavior. As more alcohol is consumed, the brain compensates by generating more GABA inhibitor. People not addicted to alcohol would likely pass out or become comatose if so much GABA inhibitor was produced in their brains. But this high level of GABA inhibitor is stabilized by the alcoholic’s high blood alcohol concentration (BAC). However, when an alcoholic stops drinking, the brain is suddenly confronted with a dangerously high level of GABA, which can lead immediately to a medical emergency. Second, alcohol inhibits the amino acid glutamate, which is responsible for alert or aroused behavior. The body adapts to alcohol’s suppression of glutamate-induced excitation by generating more glutamate receptors. As more alcohol is consumed, the level of glutamate-induced excitation rises higher. Stabilized by the presence of high blood alcohol concentration, the hidden danger of such abnormally high levels of excitatory chemicals on the brain becomes clear when the alcohol is stopped. Why is Medical Care Crucial for Controlling Alcohol Withdrawal Symptoms? When a chronic alcohol user stops drinking, the artificially stabilized brain chemistry is thrown out of balance. Suddenly deprived of alcohol, the brain is now at the terrible mercy of two opposing forces–abnormally high excitation and abnormally high inhibition. Epileptic seizures can occur, and can be lethal. The human brain is not likely to survive this deadly chemical roller-coaster ride without medical assistance and appropriate medication. On the other hand, medical care for alcohol withdrawal is very common and people can safely rid their bodies of alcohol with proper treatment. Fortunately, finding good, free or low-cost drug and alcohol treatment services for medically assisted alcohol withdrawal is now easier than ever. Part 2: Alcohol Withdrawal Symptoms and Timeline. Experienced most often by adults, alcohol withdrawal symptoms may also occur in teenagers or children. The severity of withdrawal symptoms, including epileptic seizures, is directly related to how long a person has been drinking. The presence of other medical problems can also increase symptom severity. Withdrawal-related seizures are more likely to occur in long-term drinkers. They typically occur within 12-48 hours after the last drink, but they are also known to occur after only two hours. In the most typical cases, alcohol withdrawal symptoms usually occur within eight hours of the last drink and peak by 24 to 72 hours. Many factors can impact the typical timeline, however. Withdrawal symptoms sometimes do not occur until several days after the last drink, and sometimes symptoms can continue for several weeks. Fatigue and/or not thinking clearly. Sweating, clammy skin and/or pallor. Loss of appetite, nausea and/or vomiting. Nightmares and/or hallucinations (not DT-related). A severe form of alcohol withdrawal called delirium tremens (DT) occurs in approximately five percent of cases. DT typically occurs around 48-96 hours after the last drink and can last from one to five days. Hallucinations can also occur earlier than the onset of DT, but do not necessarily signal the onset of DT. The slim occurrence of DT is directly related to how long a person has been drinking, age, and the presence of other medical problems. Part 3: Overcoming Alcohol Withdrawal Symptoms. Detoxing from other drugs is not as risky as alcohol, because dangerous changes in the brain chemistry don’t occur with most other substances. Anyone going through alcohol withdrawal should always seek medical care. However, fear of withdrawal should never be used as an excuse to avoid cleaning up your life. With proper supervision and treatment, the dangers and discomfort of alcohol withdrawal can easily be minimized. If you’re ready for alcohol withdrawal, you already know what a mess alcohol can make in a drinker’s life. Take the next step to clean up the trash, clear the stash out of your cupboards, and make the appointment to rid every last drop of alcohol from your brain and body. Next, tie on your sports shoes, because you’re going to need them. Walking away from long-term alcohol use will require a long-term commitment to the new life you’ll find on the other side of withdrawal. Put one foot in front of the other and keep walking–I made it, and so can you! Please Help Educate – Share This Post.